“Light hearts make for swift travels. Kids have that. Adults should cherish it. 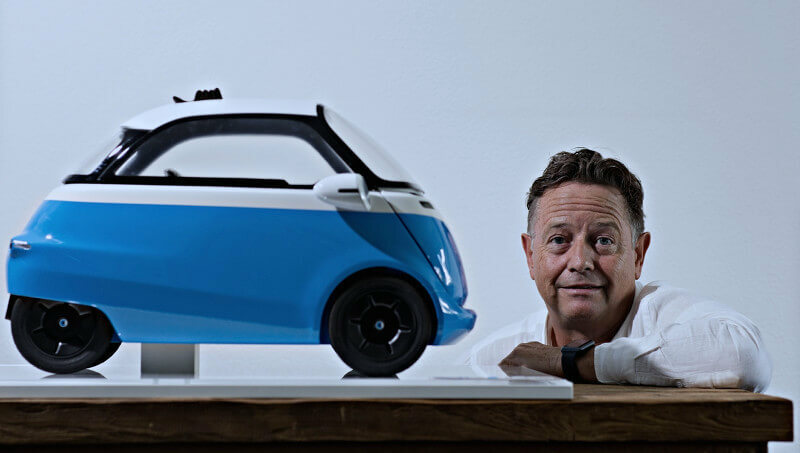 Micro Mobility’s success story began as a matter of convenience, when the inventor of the Micro Scooter - Wim Ouboter, a Swiss of Dutch origin - needed a vehicle for a “micro” distance. His favourite sausage shop was too far to walk, but too close to cycle. The design had to be light, foldable and easy to ride. Thus the Micro Scooter was born, and it became a huge success. Micro Mobility strongly believes in quality and durability. Parts can be ordered for all Micro scooters until 10 years after production. This makes Micro unique in the scooter world. We find this pretty special in the current throwaway culture. On a Micro Scooter you can keep on scooting! The enthusiasm of our customers motivates us and gives us energy. We love scooting because it keeps us moving and fit, and keeps the fun flowing. We strive to deliver the best possible service to make this happen for you. A happy customer will spread our story and we work hard for this every day. Everybody is on their way to get somewhere. Our mission is to get you there fast, fit and smiling! It’s easy to promise fun and freedom with our award-winning, iconic Micro Mobility scooters! Micro scooters let children and families, commuters and employees get from A to B with fun, confidence and ease. Scooting is infectious - and so easy: fold your Micro scooter and put it in the back of your car, or store it under your seat in the train. With a scooter you have fun while being on the move! “Scooters cut down on the walking and ups the fun for kids. Some of our young customers even take their new Micro scooter with them to bed. Instead of keeping up with the grown-ups, grown-ups are keeping up with the kids!" 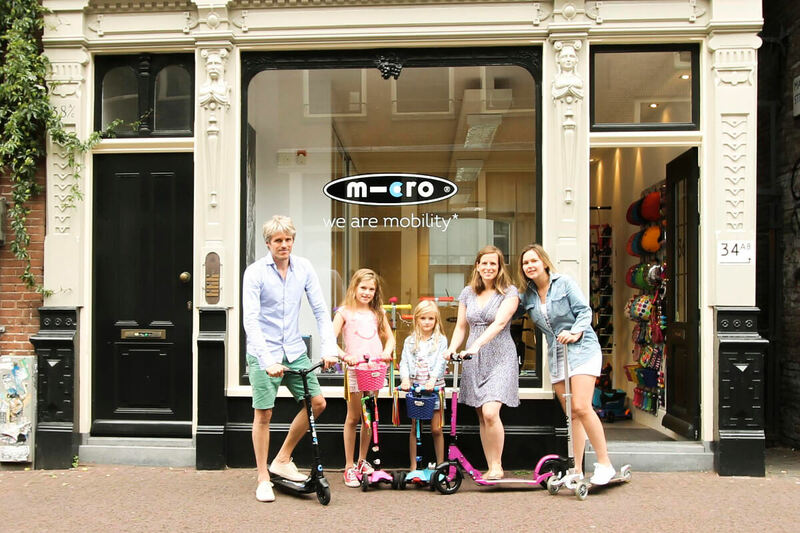 Micro Mobility is a great innovative brand and yet it is run like a family. Every country is different. Everyone is unique. Here in the heart of Amsterdam, we love that our voice can be heard in the bigness of this global brand. We have the freedom to create a personal face for Micro Step. We stand behind what we do and make conscious choices revolving around a healthier and more fun lifestyle for people, selling our products with pride and integrity. We hope to see you in our store soon!